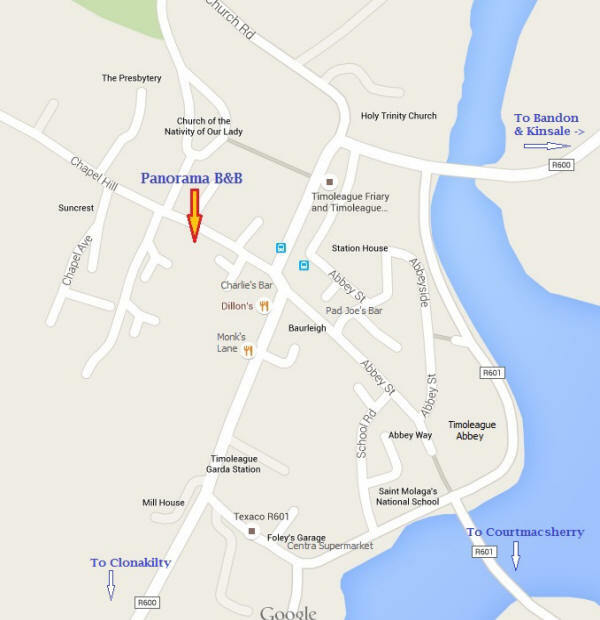 We are located in the beautiful Timoleague Village, on West Cork Coastal Route R600, approximately Mid-way between Kinsale and Clonakilty. We are only 40 minutes from Cork airport and car ferry. Timoleague is an ideal base for touring West Cork and Kerry. We are the first house on the left on Chapel Hill, 100 meters from the village centre.